Okay, now that's out of the way, here's what I've got for you this week. I wanted to pass along Christian Niedan's fantastic interview with director Bill Lustig for the website Camera In The Sun. Lustig needs no introduction, having created some of horror's most notorious titles, including Maniac and Maniac Cop. 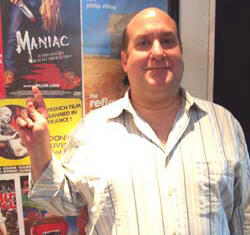 He was also the mastermind behind the video distribution company Blue Underground, one of the first to specialize in bringing titles of the VHS era to DVD. In the interview, he talks at length about New York in the 70's, the inspirations behind his films, and also the inner-workings of the home video business. Here below are some snippets. 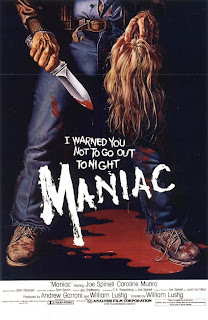 "Maniac was like a cross between Texas Chainsaw Massacre and Honeymoon Killers. I mean, there are bits and pieces from other movies where I look at the scenes and I remember what I was thinking when I shot them. As far as the rhythm of the shots, and the movement and everything, I was thinking of Texas Chainsaw Massacre. The look and feel of the picture was very much in our thoughts, always. We wanted to create this feeling of the gritty underbelly of New York." "Larry's a great storyteller. His love of movies came from him watching ’30s & ’40s films out of Hollywood — particularly film noir, B movies. He really has an affection of that kind of quirky storytelling. So he really, really knows how to write a story. The lottery ticket scene in Maniac Cop 2 was a brilliant idea. That was all Larry. Again, he has a comedic element to him where he finds the humor in juxtaposing different things in different ways." "In broad strokes, it was my intent to be able to continue to bring out films that I love that had not really been given respectable releases. Really high quality transfers with interesting bonus material. 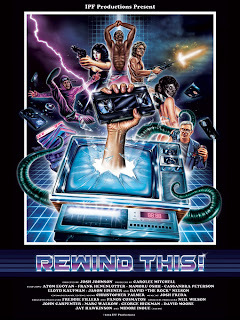 I kind of thought of Blue Underground as being the “pop culture Criterion Collection”"
Being a VHS enthusiast, it goes without saying that I'm ecstatic that we have not one, but two upcoming documentaries on the subject. 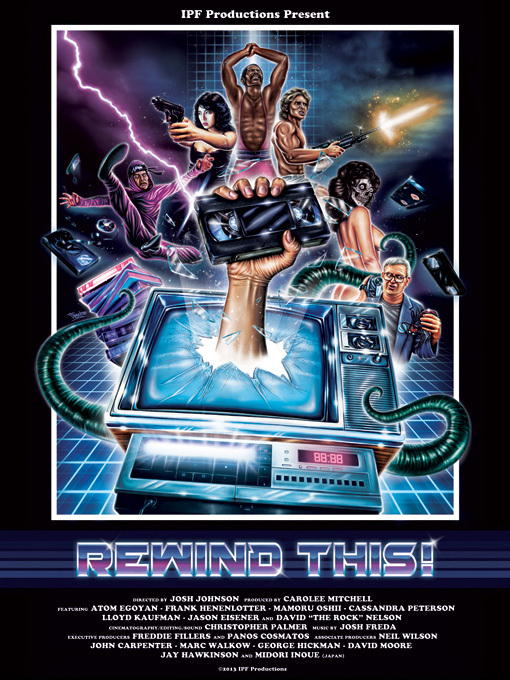 Rewind This just played SXSW last week and features the likes of Frank Henenlotter, Cassandra Peterson, and Lloyd Kaufman. 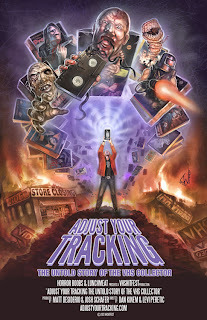 Adjust Your Tracking is brought to us by the guys at VHShitfest and is more geared toward VHS Collectors. Rest assured, I am stoked for both. I'm gearing up for Evil Dead Week here, but in the meantime, here's a promotional poster that was commissioned for the SXSW screening of the Evil Dead remake drawn by my friend Trevor Henderson. 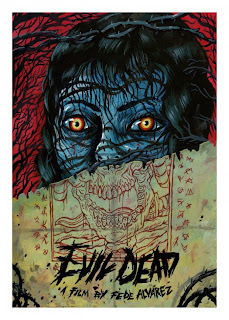 If you want to get your grubby claws on one, just click here. Thief's a great flick. Heat is a good comparison, Drive is another.